Whether your special day is to be a traditional wedding with a hint of yesteryear or a mad country shindig, The Candy Buffet Company can prepare the ultimate wedding lolly buffet that will thrill your guests beyond belief. With a keen focus given to pre-consultation, our stylists will take down a full design brief to ensure we capture the theme and spirit of your wedding and then let our creative juices flow as we develop a plan for your wedding lolly buffet. 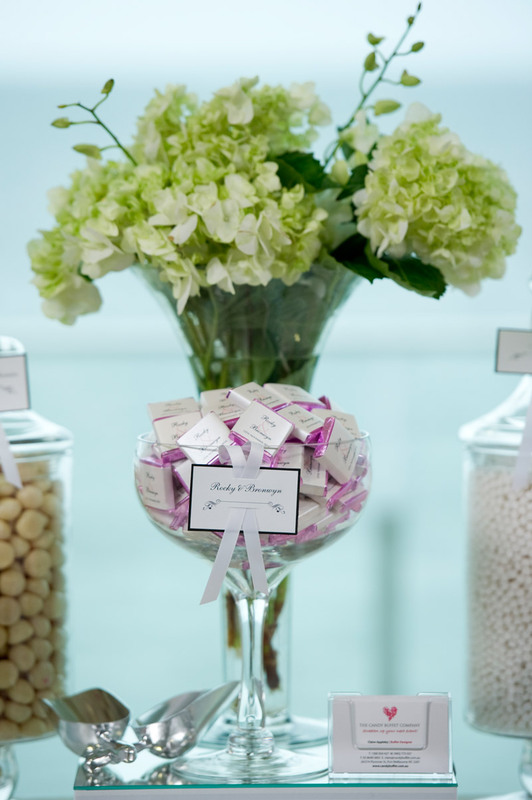 We can match a wedding lolly buffet to anything; your bridesmaid’s dresses, the scenery of your reception centre or even the stationery you have used to invite guests to the wedding. Special attention is given to integrating your colours and textures into the wedding buffet. Have a special flower that you want used? Tell our stylists and they will work with your or our florists to make sure this is the centrepiece for your lolly buffet! A wedding lolly buffet can serve many purposes – as an alternative to dessert, a decorative centrepiece or even as a delightful bomboniere to thank your guests. The custom designed and printed labels will make each lolly box a commemorative gift and a thoughtful bomboniere! We can take care of everything – we setup the wedding lolly buffet in our stunning glassware and pack it all up at the end. We can even supply attendants to refill the lolly buffet if your guests happen to be particularly ravenous or if you have a large group to serve. To organise a wedding lolly buffet for your big day, contact us on 1300 924 427 or send us an enquiry through our enquiry form. Please see more images of our wedding lolly buffets here.